About Clothes Basket: Dry Cleaning Services, Laundry Services and more. Family owned and operated since 1976, The Clothes Basket has earned a reputation for delivering the highest quality dry cleaning services in the Paw Pay, MI area. Our community works hard and plays hard… which means the typical family can accumulate a lot of dirty laundry in a short amount of time. That’s where The Clothes Basket comes in! We offer convenient, affordable dry cleaning and laundry services — saving you time and money. At The Clothes Basket, we take great pride in serving our community, and enjoy all the friendly faces we’ve come to know over the years. From our expert stain removal and quick turnaround to our reliable service — we have earned a reputation as the area’s best cleaners! 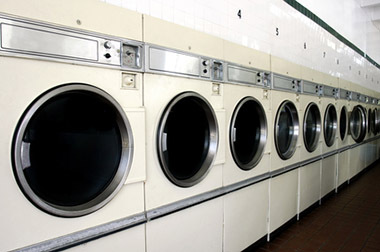 You can also take advantage of our laundromat, featuring an attendant on duty at all times. Whatever brings you to us, all of us at The Clothes Basket appreciate the opportunity to meet your needs and exceed your expectations!